Around 150 demonstrators in Odessa, southeastern Ukraine have blocked the regional Department of Interior building in protest against officers' inaction during Friday's bloody clashes, sparked by radicals, which left 46 people dead. 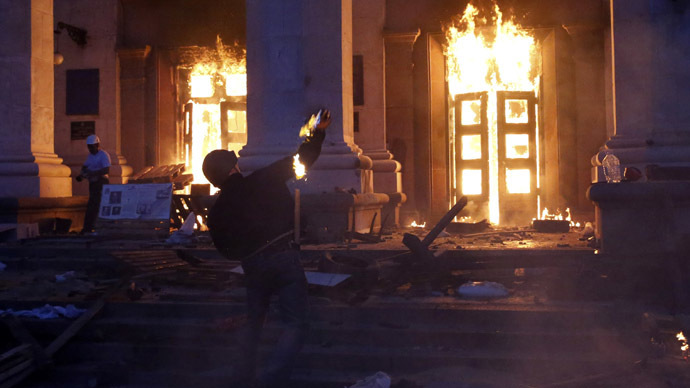 Protesters have threatened to storm the building and are demanding the resignation of Odessa's governor, Vladimir Nemirovsky, who they refer to as “the murderer.” Activists want those responsible for the violence to be punished. Meanwhile, hundreds of residents in the Black Sea port city are flocking to the House of Trade Unions, where dozens of people died in a fire after ultra-nationalists set the building ablaze with pro-autonomy activists inside on Friday. Over 200 people were injured in the blaze. Residents are bringing flowers and candles to commemorate those killed. A group of demonstrators attempted to break into the Trade Unions building but were drawn back by police who are guarding the site where investigative activities are still being carried out, Interfax-Ukraine reported. Outraged activists, in protest, removed and burned the Ukrainian flag that Right Sector radicals had placed on the building. Officers did not interfere. According to the Life News website, 12 out of 46 bodies have so far been identified. The news outlet published the names of the victims, including one woman. According to the media outlet, around half of them died of gunshot wounds. 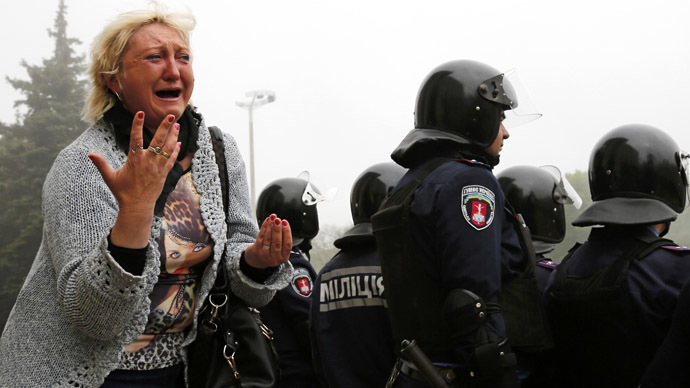 Odessa regional prosecutor Igor Borshulyak said that 20 of those dead were police officers. He added that eight of the victims died after jumping from the building during the fire, Itar-Tass reported. The Odessa Regional Council will hold a special session on May 5 to pass a no-confidence motion against the regional administration and security officials over recent tragic events, the chair of the council, Nikolay Tindyuk, told journalists on Saturday. In a draft statement, the council deputies blame authorities for a “passive position and incompetence” which resulted in the deadly incidents. “Having comprehensive information about possible provocations in which rival groups could use firearms and other weapons, they (authorities) still did not take appropriate measures,” the draft reads, as quoted by Itar-Tass. 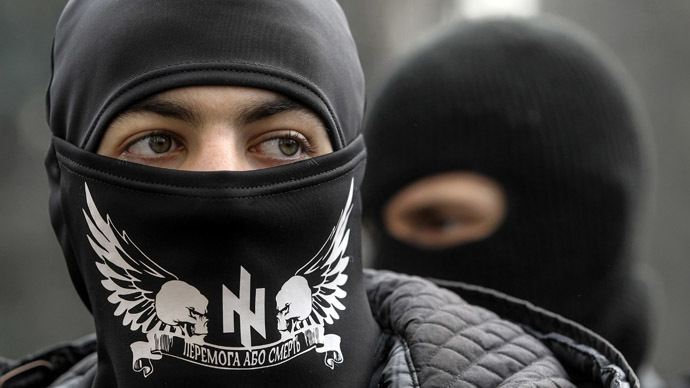 The ex-governor of the region, deputy Nikolay Skorik, compared the attackers who burnt the “unarmed civilians” alive to Nazis during World War II. “They were killed just because they had a different point of view,” said Skorik, who initiated the special session. 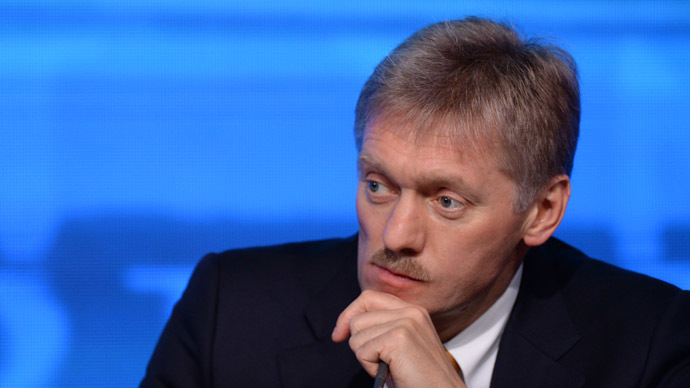 Meanwhile, Kiev officials continue to suggest their own versions of who was behind the tragic events. First, coup-appointed acting head of the presidential administration, Sergey Pashinsky, pointed the finger at Russia. 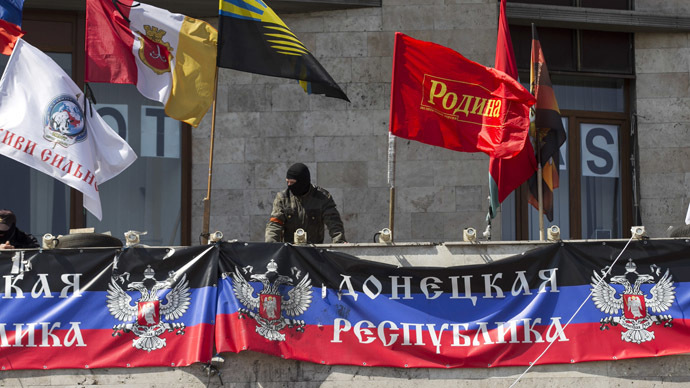 “What we saw in Odessa is a provocation by the FSB (Russia’s Federal Security Service), aimed at distracting attention from the anti-terrorist operation,” he stated Friday, providing no evidence for the accusation. On Saturday, the Ukrainian Security Service (SBU) stated that the clashes were sponsored and masterminded by top officials from the government of ousted President Viktor Yanukovich. But the country’s Interior Ministry says the victims of the violent unrest can only blame themselves. “Yesterday, during the confrontation between extremists and police, law enforcers made lawbreakers move to Kulikovo Field, where they seized the House of Trade Unions and barricaded themselves inside,” it said in a statement. According to the ministry, “attackers” then began throwing Molotov cocktails from the upper floor and shooting at “civilians.” As a result, a fire started and spread through the building, killing over 40 people. The ministry’s version contradicts with multiple videos filmed at the site of the tragic events and witnesses’ reports which indicate that the fire started after Molotov cocktails were pelted at the building from the street – not the other way round. Videos posted on the internet also show that radicals outside the building were calling for arson. Radicals blocked the building's exit doors and activists, trapped inside, had no choice but to jump out of windows to escape the fire. Riot police seem to have appeared at the scene only when the building was on fire and the first victims were already on the ground – injured or dead. “The battalions have recently been filled up with trained activists from nationalist organizations,” the unnamed source added.